Julie Houts is an illustrator and former womenswear designer at J. Crew. She was raised in Fort Wayne, Indiana, and St. Louis, Missouri, before studying at The School of the Art Institute of Chicago and Parsons School of Design in New York. Her work has been featured in Vogue, Nylon, Man Repeller, Stylebop, Huffington Post, and Refinery29. She lives in Brooklyn. Visit her website JulieHouts.com. "Houts’ Instagram does what all great art does: It makes us feel seen. And, in this case, drawn. There’s something about seeing your own somewhat private impulses shown back to you. 'Holy crap,' you think. 'I thought I was the only one.'" 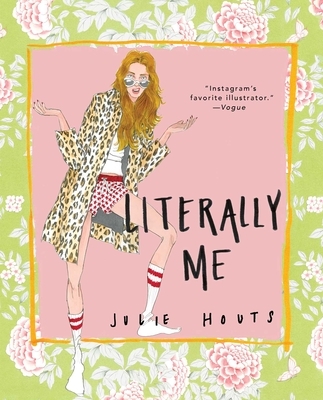 "[Houts] has gained quite a following on Instagram thanks in part to her witty, all-too-real takes on modern work life (oh, joy, another depressing desk salad for lunch!) and modern love."